A new event with a difference – this is probably one for the marathon/ultra runners really (who are able to get a day off work). It is a great concept of a run (not a race) at a local country park running laps. You have up to six hours to run and can do as much or as little as you want, but you have to do complete laps. I have entered the season – five different events – and plan to do different distances at each of them. 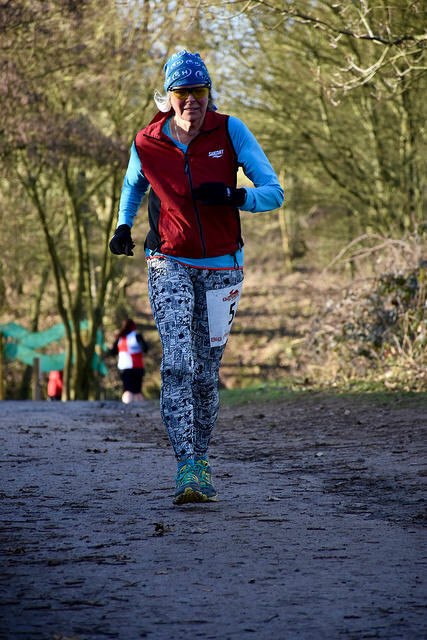 The run at Ryton Pools is a 3.3 mile loop. This sounds remarkably boring and probably would be if it was Sutton Park or Sandwell Valley that I know so well – I have run at Ryton Pools before but only once and can’t say I know it that well. My original plan had been to do about 13 miles at this one. However, I have over-raced a bit lately and struggled with a Services League XC on Wednesday. I knew the sensible thing was not to run at all – but obviously didn’t do that. I decided that it would probably be about 10 miles – but if I felt good I would do another lap. The start was at 9.00 – but it was not essential to get there for the start – there is a ‘latest start time’ and that would mean that you didn’t get much of a run. This was great as I planned to get there early, but didn’t have the pressure of getting there for 9.00. On the way there I was going well and thought I may make it for the start, but then got stuck in traffic and was able to relax. As I approached, I could see the runners already out there. I was able to take my time and get ready and just rock up to the start when I felt like it, get my number and start. The timing went from 9.00 – but most peole have their own watches so it is not a problem. I began to worry about 200 meters into the run when I was running past arrows going the other way – I can’t have gone wrong this early surely? No, I hadn’t the run went out, did a loop and then came back in the way we went out, turn round and go again. The advantage of this was that, although there were not that many runners, there was always someone around. Everyone was encouraging eachother and everyone was smiley! The country park was lovely, dog walkers friendly and marshals really helpful. I did stop at three laps – I was tempted to go on and do another to make it a 1/2M but decided that was being pretty stupid. My watch packed up on me so I am not really sure of my time but know I did 9.9 miles. The person who went the furthest was just under 40 miles. For those who are into bling – the medal was good. We got beer and flapjack. Those doing the season also got a fabric bag and are on a promise for a Big Bear Challenge buff. The feedstation obviously came round every 3.3 miles and it was ideal as you could grab your own drinks or those supplied, leave clothes if you were too hot etc. 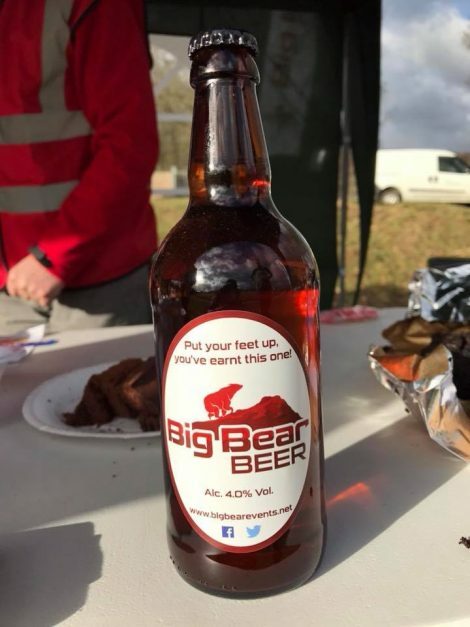 Great idea and I’m looking forward to the next one at Salcey Forest where I know I will only do about 10k as I have a fell race the next day. That event is full, there are still places on the one in Rugby on 6 June and Daventry on 26 September. This entry was posted in Other races, Race Reports, Trail by Race Reports. Bookmark the permalink.